Governor Ahmed seeks legislative approval for one hundred and fifty-six billion-naira Revised 2018 budget – Royal Times of Nigeria. 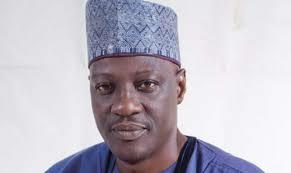 Governor Abdulfatah Ahmed of Kwara state has sought the approval of the State House of Assembly for the passage of one hundred and fifty-six billion naira as 2018 revised budget estimates. The governor’s request was contained in his message to the House read by the Speaker, Dr Ali Ahmad at the plenary today. The request of the governor intimated the legislature of the downward review of the 2018 budget of one hundred and ninety billion naira which the government presented to the House in December 2017. Ahmed explained that the approved total recurrent revenue estimate for the year under review, which was one hundred and twenty-two-point-eight billion naira now stands at ninety-three billion naira. He further said the total recurrent expenditure in the fiscal year had been slightly reduced to seventy-eight-point-three billion naira while the total transfer to capital development fund was also reviewed downward from forty-two-point-five billion naira. The speaker, thereafter, urged the House to regard the presentation of the governor’s request as the first reading of the proposed review of the budget. He, therefore, referred the document to the House Committee on Rules and Business for appropriate action before the second reading.